Ali Akbar Velayati, Leader of the Islamic Revolution Ayatollah Seyyed Ali Khamenei’s special adviser on international affairs, made the remarks while speaking to reporters following a meeting with Syria’s Foreign Minister Walid al-Muallem in Tehran on Wednesday. Velayati said he had held good and constructive talks with the Syrian official. He praised Tehran-Damascus ties as “strategic” and said Syria’s victory was in fact a triumph for the resistance front. Velayati also congratulated the Syrian government and nation on their victories in the face of aggressive policies of enemies. “The region’s reactionary triangle has suffered defeats against the Syrian nation, and Americans must leave Syria whether they like it or not,” he said. “Now some 90 percent of Syrian soil is under the control of the government and the rest will soon be liberated by the Syrian army,” the former Iranian foreign minister added. Muallem, for his part, said that both Iran and Syria have fought against terrorism and now they are countering colonialism. He said that as long as unity existed between Iran and Syria, they could defeat colonialism just like their victory against terrorism. The Syrian foreign minister described his meetings with Iranian officials as “constructive” and said he had asked Velayati to convey the warm greetings of Syrian President Bashar al-Assad to Ayatollah Khamenei. He also congratulated Iran on the 40th anniversary of the Islamic Revolution. 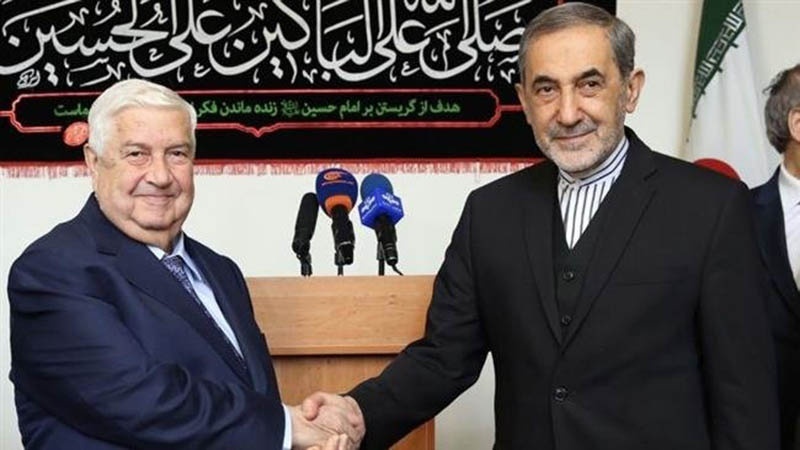 Muallem, who arrived in Tehran on Tuesday for a two-day visit, held talks with Foreign Minister Mohammad Javad Zarif, President Hassan Rouhani, Parliament Speaker Ali Larijani and Secretary of the Supreme National Security Council Ali Shamkhani.